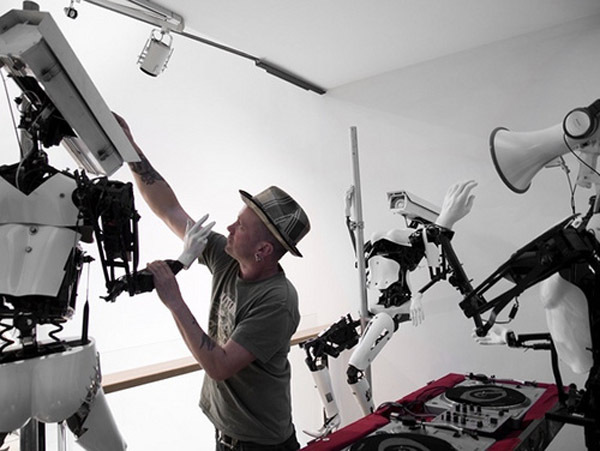 For over the past twenty years English sculptor Giles Walker has been working with robots, creating kinetic sculptures from materials found in scrap yards. 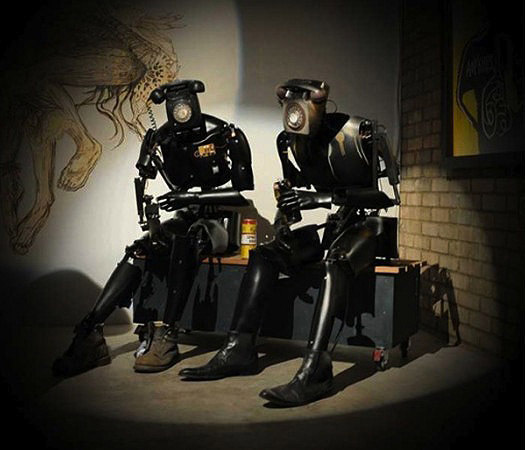 A member of the guerilla-art group The Mutoid Waste Company, Walker’s robots are a creative intervention into our throw-away capitalist culture as well as a commentary on the surveillance practices or our time. All of these pieces are just great, but the DJ and Pole Dancers’ Peepshow with their surveillance-camera heads, in addition to excellent hip and pelvic movements, might be my favorites. The telephone-headed drunks are (at least in some cases) programmed to interact with the public using presence sensors. 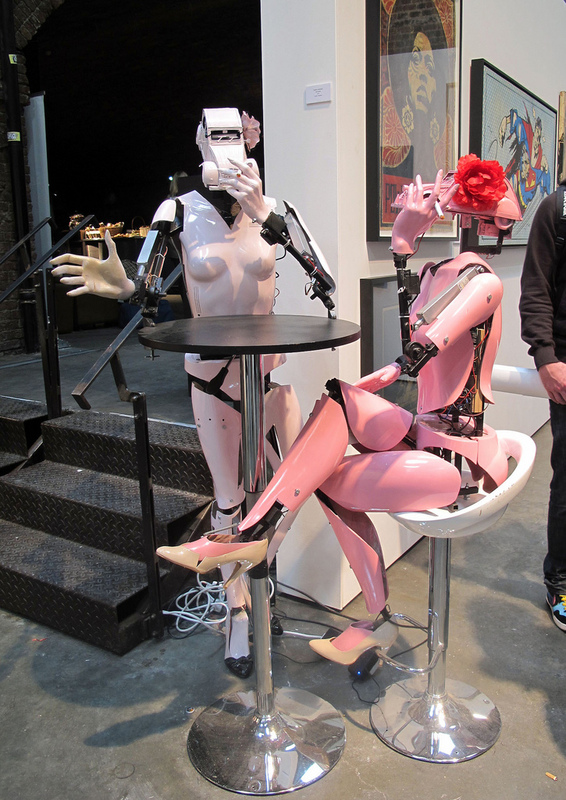 Walker’s robots have been exhibited all over the world, most recently this past week at the RAW Art Fair, part of the Rotterdam Art Fair 2012. Photos courtesy of the artist; LookforArt; Epicfu; maggie jones’ flickr; and de_buurman’s flickr. This entry was posted in Art, Fun, Interaction Design, Just Plain Cool, Stuff We Like. Bookmark the permalink.